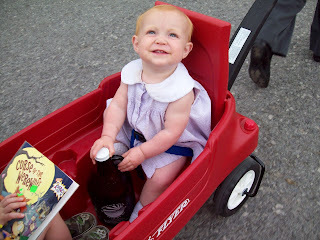 Gretchen keeps a steady hand on daddy's growler...good girl. The two (2) additional peaks in Davis arrived today. No the earth didn't spring forth her bosoms in the form of two (2) more mountains...well, not exactly. 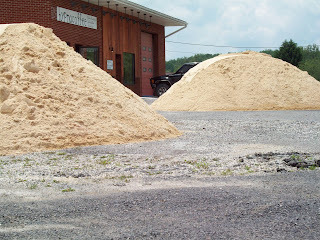 The volleyball court sand is here! As soon as the liner is laid we will have a "spread 'em party." I know that means a different kind of party in D.C., (thanks to the number of lobbyists and politicians, we know how they think). In Davis it means wheel barrow, shovel, rake, repeat...so put away the oils and surgical gloves. Stay tuned for requests of assistance.